1X/2X - €33.99 Only 2 left! 3X/4X - €33.99 Only 1 left! You might not think that there are a lot of good connotations when the ladies of your coven call you a basic witch but you'd be surprised. The title doesn't have anything to do with wearing Ugg boots or losing your entire mind when you step into the hallowed halls of Target. That's a different type of basic. 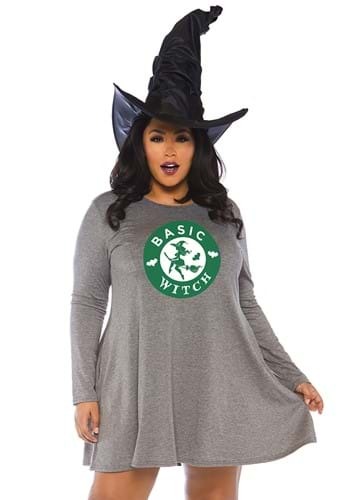 No, life as a basic witch is all about mastering the classics, mixing potions, chanting conjuring spells, and flying on broomsticks on moonlit nights. Although, now that we think about it, basic witches are huge fans of Pumpkin Spice Lattes much like the original "basic" ladies. Hmm, maybe there is quite a lot of crossover now that we think about it. Looking for Halloween clothing that you can wear to work and around town as well as heading out on Halloween night? This dress fits the bill. When paired with cute plaid leggings and boots while you're picking up your delicious seasonal coffee, you'll feel perfectly sweet and oh so Instagram friendly. Want to seamlessly move from work day to your Halloween night celebrations? 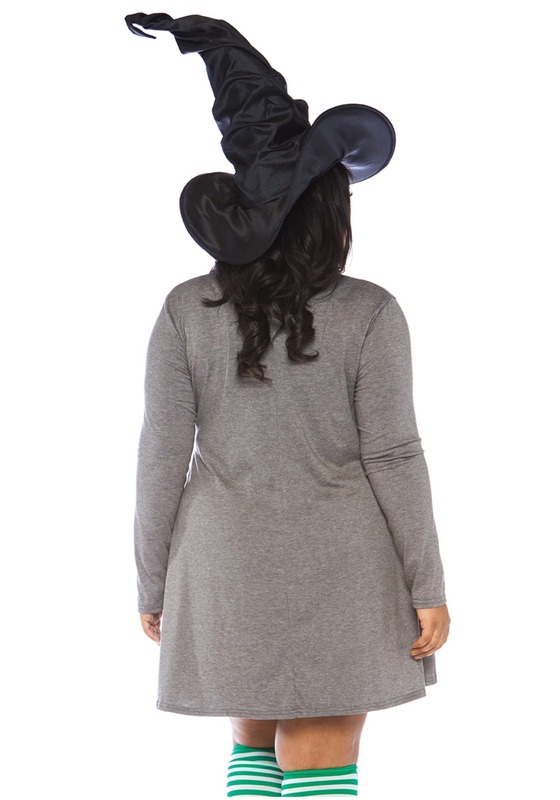 Simply throw on a witch's hat and you'll be ready to go. Hmm, basic life is pretty great! This autumn, embrace your basic side. If there's ever been a time for it, it's when the seasons are changing. After all, who doesn't love a nice, cheekbone enhancing duck lip backed by multi-colored leaves? What season is better suited to lighting Sandalwood candles and using that cozy Earlybird filter with a sweaterweather hashtag. So, go ahead and insert this Basic Witch dress into your wardrobe, because, as basic witches say, "Treat yo self"!